Get the culture right... and everyone has the potential to be extraordinary! Diane is the best at building great cultures. Time and again, she’s taught leaders how to build great cultures, one of the most important jobs of a leader. John T. Chambers, Executive Chairman of Cisco Systems, Inc.
Diane knows wells that our people make the difference. That’s why creating a culture that values its team members and their contributions is so important to personal and company success. 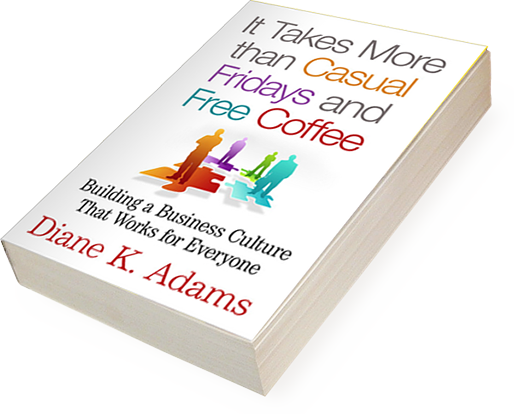 As Diane spells out so well in More than Casual Fridays, culture is a competitive differentiator. At High Point University, we’ve been extremely successful in creating a positive environment to help each of our students achieve his or her extraordinary potential. As Diane so aptly shows us, taking the same approach in the workplace pays off for a business and its people, too. Build an organization where everyone is at their best and you will create the ultimate competitive advantage. And, there is no one better to teach us than Diane . . . not only is she the best at building cultures of success, she’ll make it fun along the way. In today’s business environment, emphasis on culture is the most important part of creating a successful and sustainable business. Diane Adams is one of those rare individuals who truly connects with that. Priority No. 1 for any company has to be to have the right culture in place to take on the challenges today. … This is Diane’s specialty—building cultures and companies where everyone is motivated and driving towards a common goal. Happy employees plus happy customers equal happy financials… Diane’s knowledge of talent and culture shines through in her approach and ideas, and shines a light on the customer focus, leadership development, and employee engagement needed to build high-growth organizations for competitive advantage. Diane Adams is a magician when it comes to transforming culture in companies … Values matter as More Than Casual Friday’s clearly illustrates. Diane Adams is THE expert when it comes to getting culture right in your company. Culture is the game changer. Get the culture right, and your company and people thrive. Diane’s new book is your front-row seat to building a positive values-based culture in your organization, and in turn gaining an edge in today’s competitive economy. 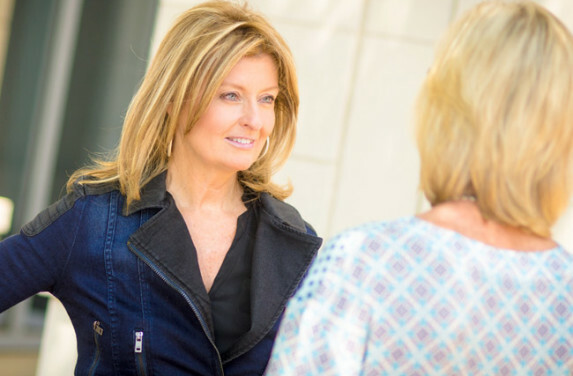 With Diane’s help, you’ll be inspired to be at your best personally and professionally. Be sure to check out the FREE online workbook, too. In its pages you’ll get the basics, along with exercises and tips to help you build the right culture for your company. Diane’s passion lies in inspiring and enabling others to live extraordinary lives, personally and professionally, and to make a difference. She’s quick to tell you that she believes she lives a happy life because of her faith and the many amazing people in her “village”–family, friends, and colleagues–who encourage her, push her, and believe in her. Forever grateful, she has devoted her career to helping people be at their best through building cultures where companies and their people thrive! Living intentionally and staying true to her values are Diane’s secrets to her own success. She is intentional in everything she does—so much so that since graduating college, every year she writes down her annual goals–intellectual, emotional, physical and spiritual. She actually looks at them, too, throughout the year. Even her children started writing down their personal goals in elementary school. You could say Diane is obsessive. Her family and friends, though, will tell you instead that Diane embraces the ordinary and extraordinary while making wonderful memories along the way. Love watching my daughter Danielle sing about a world without Type 1 diabetes and, if inspired, please join me in donating for a cure. Culture is the game changer, especially for businesses in today’s roller coaster economy. But what is culture? Diane has been featured in many publications from Fortune Magazine to The Wall Street Journal. 2019 Diane K. Adams. All Rights Reserved.